Paradise Tattoo Gathering on the way, and Shawn Barber, Chet Zar, and more at Off the Map! Well, so maybe I havn't blogged every other day, but I am getting better! Still moving over a few straggling websites onto the new freaking fast server. Still tweaking an improving things a bit, but after a month of solid TattooNOW work I am shifting back to the Gathering. Paradise Tattoo Gathering is in full gear. After taking a quick class in In-Design, making posters is a whole new game! I also have the fancy bi-folds just about done. the above is a quick peek at the full page ad going into Tattoo Society Magazine, Tattoo Artist Magazine, and Prick Magazine. We have smaller ads going into our other favorite international tattoo magazines, Tattoo Revolution from the UK and Custom Tattooz from Australia. This is also the week we will finalize the location for the next Paradise Artist Retreat for February 2012. All the resorts were great, you will be very happy with our destination! Oh, and Off the Map Tattoo is still jamming. 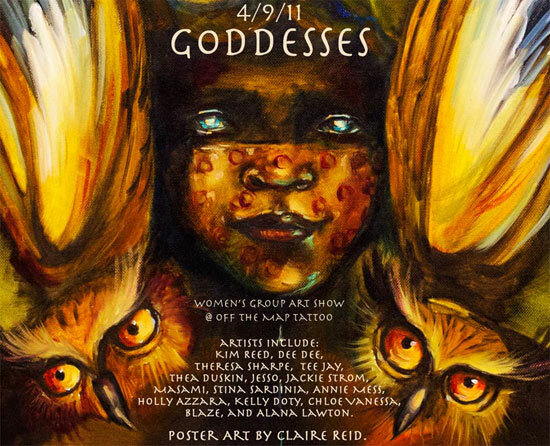 The Godesses art show is April 9th, and the art is coming in and its great! We have new lighting on the way, the floors will be buffed, its always fun getting the shop detailed out. 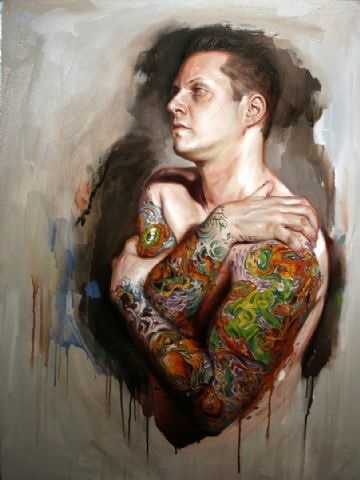 April 17th is Shawn Barber's painting class, limited to 10 artists, get in touch quick! 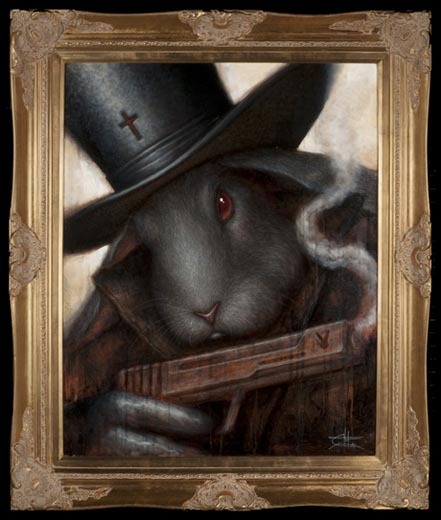 We are also excited to have confirmed the dates for a Chet Zar Seminar at Off the Map Tattoo on May 22nd (again, limited to ten artists dont snooze! 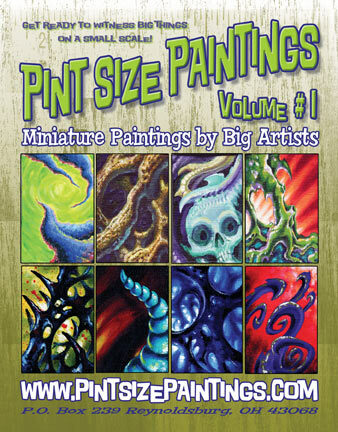 ), and then the Pint Sized Paintings collection will be here in June! we have these events posted on the Off the Map Tattoo special events page.